When it comes to blood sugar levels, the numbers always seem to confuse people. So we're here today to cover a whole range of reader questions that have come in. Healthy blood sugar control values will depend on several factors, the most important being when you check it. Blood glucose levels will rise after eating meals regardless of whether a person has diabetes–however, someone with good control will be able to bring it down to a stable level after 2 hours. The diagnostic values below are for non pregnant adults with type 2 diabetes. Ranges are different for children, those with type I diabetes and pregnant women. What should your goals be? That is between you and your healthcare team because it does depend on various factors. But overall your goal is to gain good control of your diabetes, which means maintaining normal levels or getting as close to normal levels as possible (refer to the normal numbers above). 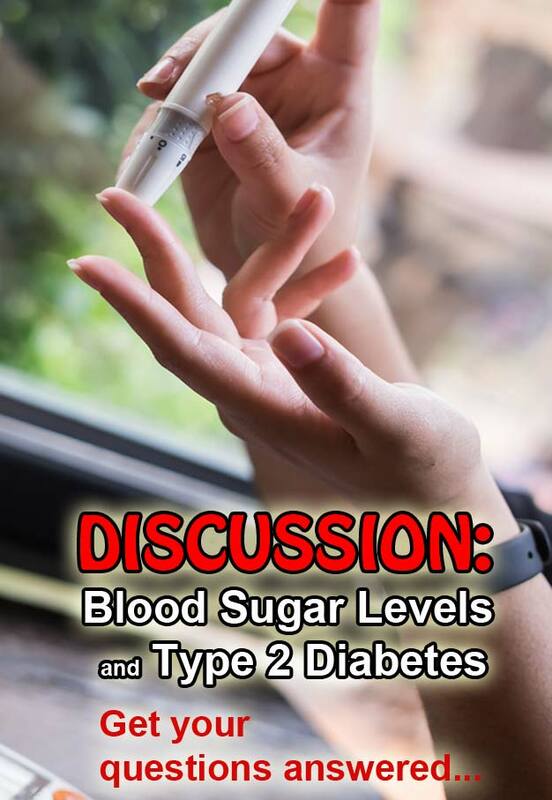 We’ve answered some specific questions regarding blood sugar over here, so be sure to check those out as well. 1. My post meal is hovering around 140-160, what steps can I take to reduce it? My meals are well-regulated and low carb. I would be curious as to your pre-meal reading and compare the two. While 140-160 (7.8-8.9) is slightly higher than optimal, it’s not that far out of range. Below 140 (7.8) post meal is very good. ADA goals recommend post meal readings under 180 (10), which you would meet but below 140 (7.8) is always a better goal to aim for. My other question would be how long after meals are you checking your sugars? It should be 2 hours from the first bite of your meal. If you are checking too soon after, insulin has not yet had sufficient time to bring them down to a reasonable level. Finally, be sure you are including sufficient protein and fat with your meals, which will help to slow down the post-meal rise and keep it more stable. In addition check this info for more ways to keep your blood sugar controlled. 2. So my doctor has me checking my blood sugar and I am supposed to bring her my results in a week. However on this, my first day I am lost when it comes to understanding my readings! When I feel normal it’s at 112 (6.2) but when I feel sick or shaky its at 65 (3.6). Can you explain please? Because 112 (6.2) is a normal reading it makes sense that you’d feel normal and because 65 (3.6) is way below normal, it makes sense that you’d feel poorly at this reading. Please check this info to help explain in greater detail what these numbers mean. While diabetes is primarily a condition of elevated glucose (hyPERglycemia), many also experience low blood sugar (hyPOglycemia–you can read more about hypoglycemia here) for a variety of reasons, the top one being medication. Blood sugars less than 70 (3.9) will often produce the exact symptoms you described: sweaty, shaking, clammy hands and dizziness – symptoms of hyPOglycemia. The goal is to avoid this by eating a balanced diet, do not skip meals and take any prescribed medications appropriately. If you do experience hypoglycemia, the rule of 15 applies: take 15 grams of carbohydrates, wait 15 minutes, then check again. When it is normalized, have a small snack with some protein to help keep it stable. 3. I was told I have diabetes. My sugar was 241 (13.3) and I was put on a pill. I have experienced sweating shaking and I am always tired. I just tested and my reading was at 83 (4.6) but still shaky and blurred vision. It is difficult to respond without quite a bit more information such as what pill you started taking, the dosing, and several other factors. But, my initial thought is you may be experiencing hypoglycemia. While technically your reading of 83 (4.6) is not in the hypoglycemic range, when there is a drastic shifting in your blood glucose and your body isn’t used to it, you can still experience hypoglycemia. Even though 83 (4.6) is a ‘normal’ level, it is quite a jump from 241 (13.3). Obviously whatever you are taking is effective at reducing glucose, but it may be too high an initial dose for your body to handle. I would encourage you to discuss this with your physician who prescribed the medication asap. Do not change medications or alter dosing without discussing with your doctor and pharmacist as this can be harmful. 4. I am a diabetes patient of 8 years. My sugar is fasting 200 (11.1) and after two hours 287 (15.9) and cholesterol 570. I use many medicines but not control this time. I use insulin 16 units in 24 hours and use of tablet Veldomnet 50/800 1+0+1. How can I do better? I’m unfamiliar with Veldomnet, but all medications have to be discussed with your prescribing physician. It is not our place to advise you medically. We can encourage you to ensure your are following a healthy, balanced carb-controlled diet, exercising regularly, getting enough sleep, managing your stress, and maintaining a healthy weight – aside from your medications, these are 5 key areas you could likely do better. We know that lifestyle changes go a long way to improving blood sugar control and overall outcomes on your health! 5. 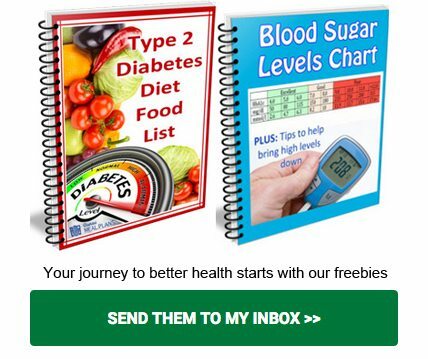 I have type 2 diabetes and would like to know how to hold a 6.9 a1c level. What would my morning fasting blood level need to be? This is a very good question. Your HbA1c is a 3 month snapshot of how well your glucose levels have been running on average. Whereas your daily readings are an actual number of how much glucose is in your blood at any given time. There is an A1c to EAG calculator that estimates your average glucose based on A1c and vice versa. An A1c of 6.9 yields an average glucose of 151. Here is a chart of A1c to estimated average glucose (EAG). Just be aware, this is taking into consideration average of all values including both fasting and post-meal. Because the A1c is an overall 3 month average, it isn’t possible to answer your question exactly because blood glucose is measured daily. But know that a healthy fasting glucose level is under 110 mg/dL (6 mmol/l) and preferably under 100 (5.6). 6. Fasting blood glucose 99 mg/dl (5.4 mmol/l), also have pcos. Concerned about whether it is normal fasting blood glucose range or not. Fasting blood glucose under 100 (5.6) is normal unless you are pregnant. PCOS can render glucose control more challenging, but is seems you are doing well considering you have this condition. Know that you are at the brink of ‘pre-diabetes’ with a fasting of 99, but it is still considered normal range. Ensuring you are following a balanced low carb diet, exercising regularly and maintaining a realistic weight (sometimes with PCOS achieving a ‘normal’ BMI is not realistic) will help keep you below that pre-diabetes marker. 7. My step dads sugar is at 551 (30.5). Never can he get it under 400 (22) even with his meds, what should we do? Any blood sugar level exceeding 350-400 (19-22) is considered medically dangerous and your step dad should call his physician’s office immediately. With glucose levels at 551 (30.5) he will be advised to go to the hospital where they can stabilize his levels via intravenous insulin and other measures. It is unlikely he will be able to resolve this issue on his own at home. Diabetic Ketoacidosis and Nonketotic Hyperosmolar Hyperglycemic Syndrome are both life-threatening and can cycle into a coma and even death if not treated immediately. Please contact your physician if this is the case. Also ensure that the meter you are using is calibrated and the readings you are getting are accurate because living with levels this high day in and day out is dangerous and can lead to serious diabetic complications. Hope all this info helps cover some of your own questions. If not, feel free to leave your questions below. Please pin, tweet or share this info and invite friends to the discussion. Hi there, I'm Elizabeth, Dietitian (MS, RD, LDN, CDE). We have a passion for empowering people to eat real whole foods as a way to better glucose control and better health. We're here to educate and empower you to eat well and feel your best every day. I believe that I am prediabetic (no meds)…morning numbers between 100-110. I pretty much stay around 110-120 post meal. Can I get my fasting sugars down with eating a small snack before bed? Also, I have not had sugar issues prior to going through menopause. Can this trigger Type 2 diabetes? Hormones play a huge role in blood sugar regulation and diabetes progression, so it’s quite possibly that the hormone changes occurring during menopause did contribute in one way or another. 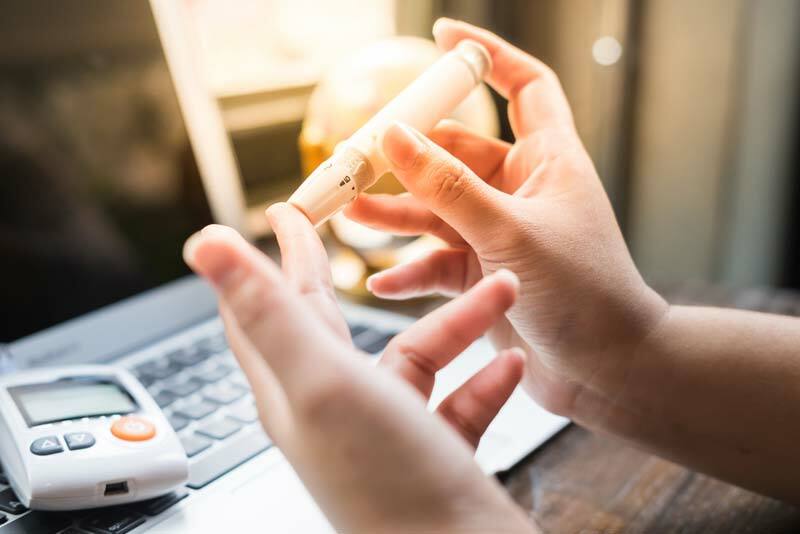 This article gives some GREAT information about prediabetes, and how to prevent it from progressing into type 2 diabetes. A snack may help your morning numbers (focus on a fat/protein snack such as cheese or a hard boiled egg), and one other favorite remedy is to try some apple cider vinegar prior to bed as this seems to help many of our members. Unfortunately this is not our area of expertise. Perhaps your doctor may have a recommendation for a pediatric dietitian! That’s a bit high, Anne. Ideally you want to be under 7.8 mmol/L, or as close to it as you can get. Have you tried a low carb diet? Research shows this as one of the most effective ways to lower blood sugar and A1c. Check out this food list! Diabetes is not reversible from a diagnosis standpoint- once you have it you have it; however it can be well controlled to the point where you have so signs or symptoms of diabetes and you will be able to maintain normal sugar levels without medication. Just make sure to review your plan of care with your primary doctor- it may not be necessary for you to continue seeing a endocrinologist, but it may still be a good idea to have your A1c level checked yearly to ensure things are still going well. 1. Hi, I resently had a 9.3 readings blood sugar and in a week’s time it came down to 6.3 , am I getting diabetes ? 2. Am really worried to know what to do , about a sore on my right ankle which seems to be keeping long to heal. What do I do Please . 9.3 mmol/L is definitely elevated into a diabetic range. With regards to your wound, there are two possible scenarios. Your blood sugar could have been elevated in relation to your wound- infection can cause elevated blood sugar. The other possible scenario is that people with diabetes do often have delayed wound healing due to poor blood flow. My suggestion is to speak with your doctor concerning the matter. They should check you A1c level which will tell you how your blood sugar levels have been over the past three months; A1c goal is <5.7%. They will also need to evaluate possible causes of slow wound healing. Insulin does not have to be a permanent thing, but the most important piece is doing whatever it takes to keep your sugar under control and prevent any nasty complications down the road. Stress is pretty awful for our health- it raises blood sugar, and also causes weight gain. Weight gain is also associate with raising blood sugar, which then causes further stress. My point is that it’s a viscous cycle that you have the power to take control of! The two biggest things you can start doing, before you even find a new doctor, is to re-evaluate your diet (check out this list for some help) and get moving! Even if your doctor does start you on some new medication and/or insulin, you may find you need less of the medication because your diet and exercise regimen is already in place. Good luck! I am not sure why you felt so sick after your yogurt, nuts, and prunes. If you are not used to being 11.1 mmol/L, then the higher blood sugar could be contributing to the sick feeling. For best blood sugar control you may want to eliminate the prunes/ dried fruit– try picking mostly foods from this list to help get your sugar under better control. Having blood sugar within range (4-6 mmol/L before breakfast, and under 7.8 mmol/L after meals) may improve how you feel. If the sick feeling persists persists then I would definitely recommend following up with a doctor. And, yes, you’re right that meters can vary. You may be able to find a calibration solution at your local drug store and this can help give you insight into the accuracy of each of your meters. Whenever a number seems “off” make sure to re-check. My bedtime blood glucose was taken at midnite and was 117 (approx. 5 hours after my last meal), but when I checked my fasting glucose this morning it was 154. Why did it go up if I hadn’t eaten anything and is there anything I can do to prevent this from happening? It’s not unusual in type 2 diabetes Phoenix, it’s called the Dawn Phenomenon and happens due to hormones. Read this info on morning blood sugar levels. A friend’s blood sugar level after meal was 117 that’s aroud 10:47pm. She’s Type 2. Is this a good reading? Under 140 2-hours after meals is ‘normal’ – that’s when it’s best to test. But if it stays under 140 most of the time, then it’s good too. I have been diagnosed with prediabetis 3 weeks ago and I have been taking measures every morning ( fasting ) and the results are somewhat erratic, it varies from under 100 some days to a little over 100 other days. I do exercise often and watch my diet. Are there any other times I should be measuring my sugar levels to see if all is well ? Is there a chart to indicate “normal” levels ? Most organizations recommend maintaining a fasting level under 126mg/dL, although for even better control aim for under 100mg/dl in the morning. Your numbers are acceptable as is! You may also consider checking 2 hours after a meal, this is called your post-prandial value. Aim for a value less than 140 mg/dl. Most people find great success in achieving these ranges by following a lower carbohydrate diet. Here is a article about blood sugar ranges that you will find helpful. 1) recently i checked my blood sugar level and it was higher than normal. My hba1c was 7.6. Soon after a week i went for another fasting test and post prandial test and the result was – 148 mg/dl and 185 mg/dl. since then, within two weeks i took some steps to self assess my blood sugar levels. my new readings are 117 mg/dl and 142 mg/dl. and they have pretty much being in the same range (occasionally it drops well closer to the normal levels). i am pretty confident that my blood sugar levels will drop further, maybe under 100 (fasting). does it mean i have diabetes or am I prebiabetic? 2) i dont really have any direct symptoms of diabetes. i do drink more water than normal so i do urinate often, i work almost 14 hours a day in which i commute 4 hours, so i am tired but when i am home relaxing, i dont. so in my case, (where once i was over the diabetic range and other times i am not) does it mean i am prediabetic and not diabetic? 3) if through natural and lifestyle remedies, i manage to keep my sugar in normal or prediabetic range, will the various complications affect me or will i stay fairly away from such complications as a normal person would do? The criteria for a diabetes diagnosis is as follows: HbA1c greater than 6.5%; or post postprandial level greater than 200 mg/dL on two occasions; or fasting level greater than 126mg/dl on two occasions. Your A1c of 7.6% classifies you as diabetic. While diabetes is not reversible from a diagnostic standpoint (once you have it, you have it), diabetes can be reversible from a physiological standpoint in many. Meaning through lifestyle changes you can maintain normal sugar levels- and this should absolutely be your goal! By maintaining near normal sugar levels, you can significantly lower your changes of developing any diabetic complications. Consider trying a low carb diet to help get your sugar back into range. My fasting blood sugar is 94.but 2-3hours after the meal sugar level is 220. What you can recommend and what does it mean? Hi Siddique, 220 is high. Ideally after a meal you want your blood sugar level to be under 140 so what that means is you need to adjust your diet. You probably ate a meal very high in carbohydrates so a first good step is to look at reducing carbs. Emily - Dietitian (MS, RD) on Are Apples Good for Type 2 Diabetics?